How Can We Tell When Animal Welfare is Good? In the previous article, I gave a drawn-out description of some of the theory and history of modern animal enclosure design. But I haven’t much discussed the thing itself. I am, of course, going to– but first we have to lay down a few ground rules. Physical health: the most basic welfare requirement, and the most self-explanatory. Animals should be neither emaciated nor overweight and should not be showing signs of illness or injury. The early “sterile” zoos attempted to achieve this. Presence of abnormal behaviors: this refers to behaviors such as stereotypies, self-injury, anhedonia, cognitive bias, et cetera, as well as exaggerated negative forms of normal behaviors such as overgrooming. The introduction of enrichment in zoos after the 60s served as a way to try to reduce or eliminate these types of behaviors. Presence of species-typical behaviors: in other words, the animal performs behaviors that it might have if it lived in the wild. A monkey climbs, a cheetah scent-marks, a bird preens. The presentation of positive behaviors, rather than just the reduction of negative ones, is a relatively new concept to animal welfare, but one that is being implemented in many zoos, labs, and even farms around the world. Now that I’ve brought up wild behaviors, though, I’d like to emphatically say that the goal of animal enclosure design is not to mimic wild conditions. Firstly, this is impossible even for the best captive situations. Secondly, what ideal wild conditions even are is not something easily defined. Consider, again, the wild axolotl: I am certainly not trying to mimic their polluted, drained wild habitat in my tanks. I am also not introducing their natural predators, parasites, competitors, and et cetera, even though that, too, would be more appropriately wild. The lives of wild and captive animals are very different- arguably, one is not objectively better than the other. Many wild animals have absolutely miserable- and short- lives. Not, mind you, that many captive animals don’t suffer similarly abysmal fates. It’s simply that the stresses placed on wild and captive animals are very different. The largest of these differences is that most of the stresses placed on wild animals occur in temporary bursts followed by a period of relaxation. For example, a lioness goes hungry for several days, causing her great stress, but then makes a kill and is satiated for a good 48 hours. The impala that the lioness chased, on the other hand, are temporarily highly stressed at her pursuit over the course of those days, but have the opportunity to come down from that anxiety each time she feeds or gives up the hunt. Neither predator anxiety or hunger should (theoretically) be a major source of stress for a captive animal. Instead of brief bursts of intense stress, captive animals suffer from low, constant levels of chronic stress. For example, the temperature in a reptile enclosure may constantly be just a few degrees colder than the reptile’s ideal climate range. This does not rapidly kill the animal as starvation or predation would, but it does begin to contribute to a gradual decline in health as the reptile’s body struggles, day in and day out, to cope. One of the biggest concerns in captive animal welfare, then, is actually nearly invisible to us- this is why, again, I frown on short-term visual assessments as a good means of assessing welfare. Chronic stress is hard to measure accurately, especially in non-mammals whose needs and body language are less familiar to us. This is another reason why it is good to look for the presence of positive (i.e., species-typical) behaviors rather than just negative (i.e., abnormal) behaviors when assessing welfare. Animals under constant low levels of stress will often put their energy into vigilance or hiding behaviors- appearing as though they are not doing anything for long stretches of time. Of course, the caveat to all this is that you need to have some understanding of what constitutes a suite of normal, species-typical behaviors for the animal in question, and in many cases this is difficult to impossible to obtain. In some cases, we are lucky enough to have extensive observations of wild animal behavior. For example: captive lions that spend eighteen to twenty hours each day sleeping or lying down might seem bored or too depressed to do anything else, but this ‘laziness’ is actually species-typical behavior for wild lions (who spend, on average, only three hours each day up on their feet). So this long-term lounging behavior is actually a positive sign for their welfare. However, more often than not, we don’t have the luxury of these wild accounts, especially for many animals which are extremely difficult to observe in the wild, or simply haven’t warranted enough long-term study from the scientific community. This includes many species of birds, reptiles, fish, and amphibians. Those trying to care for these animals in captivity are then left with guesswork as to what their normal behavioral suite looks like, based on, say, what they might know about the behavior of closely-related animals, or those in similar niches. It is not a perfect solution by any means. Pet owners, I feel, are some of the worst offenders as far as misunderstanding the wild behavioral suites of their animals go. In many cases they don’t even know the country of origin of their exotic fish or bird, much less its natural lifestyle. You should not buy any animal, ever, without knowing where it came from and what it does to make a living. With all that said, the best animal enclosures will work to provide opportunities for species-typical behavior while minimizing chronic stressors. Sometimes, surprisingly enough, this can mean substituting temporary stressors instead! One example of this would be veterinary examinations and treatments- usually terribly stressful for the animal at the time, but overall good for preventing injury or disease from causing chronic stress. Think about this the next time you balk at going to the doctor or dentist. Let’s begin a more detailed discussion on positive enclosure design with a very controversial element: available space. Space requirements for captive animals is a tricky subject. It is generally easily visible to observers and is often the first thing to be criticized about enclosures by visitors to zoos and other places. But most of these visual assessments are based on the amount of space a similarly-sized human would feel comfortable in, not the actual animal. So how can we assess how much space an animal needs to be free from anxiety and frustration? At the most basic level, the minimum amount of space an animal needs should allow it to move unrestricted. The animal should be able to stand up, lie down, and turn around unhindered. 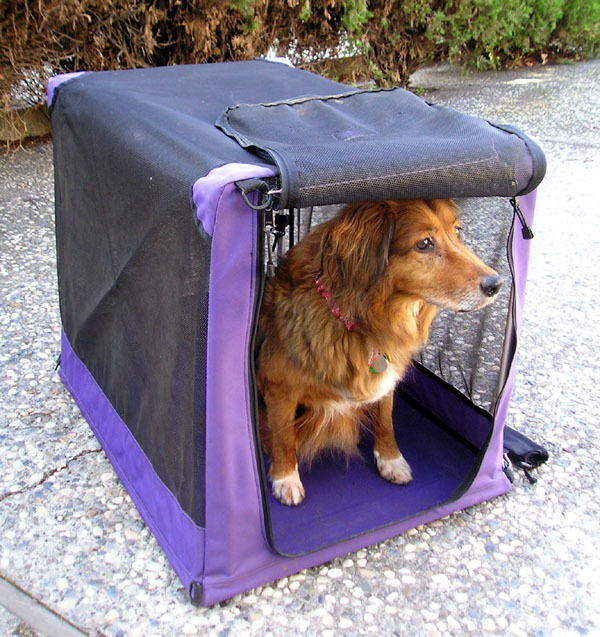 This minimum is acceptable for very short-term housing such as veterinary cages, in which case limited space is important to prevent the animal from straining itself, as well as providing easy access to the animal so that it can be treated. In some cases, such as when the animals are being transported or treated for serious maladies, even more restrictive housing is acceptable, but again, this should be extremely-short term. Another form of short-term housing is a crate or kennel area that is blocked off from the main enclosure (which could be a yard or even your house). Again, this should be a temporary holding area, used for feeding, sleeping, access to the animal, or simply keeping the animal contained while the rest of the enclosure is cleaned. Some animal species may find crates or stalls comfortable and secure spaces to sleep in so long as they are given access to the larger enclosure for the bulk of their active hours. Temporary confinement can also occasionally be a positive thing for an animal. Briefly restricting access to certain areas of the enclosure increases the amount of anticipation and excitement the animal feels before being allowed back in. Calves and baby goats, for example, spend much more time exploring and playing in a paddock if they are only given access to it for part of the day than if they are given free access to it all the time. Of course, if this restriction goes on too long, anticipation can give way to anxiety and frustration. Beyond temporary areas, it’s hard to determine how much space an animal needs in its entire enclosure. The size of an animal’s body is not always a good indicator of how much space it needs. A monitor lizard, for example, is much larger than a rat, but spends much less time moving around due to a lower metabolism. So enclosure space isn’t necessarily a function of animal size alone but animal size as a function of animal activity level. Yet even this is an oversimplification. Say you provide that highly active rat with a bedroom-sized floor space to run around in, with nothing to get in its way. The likely result will be that the rat will only utilize a tiny fraction of that space- namely, the corners and the parts of the floor directly adjacent to the walls. Why is this? The answer is simple: rats are delicious, and running out into wide-open spaces is an excellent way for them to advertise that deliciousness to, say, a hawk. So that rat is going to avoid spaces where it feels exposed and vulnerable, effectively rendering most of the glorious open space you’ve provided it with useless. So not only do you have to consider animal size and animal activity level, you also have to consider what activities the animal actually performs. In the case of the rat, you can convert all that useless space into usable space by providing it with a multitude of tunnels, shelters, and other hiding spaces throughout. 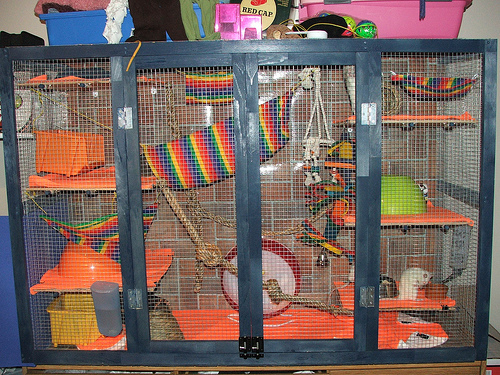 A much more suitable use of space for a rat enclosure than the open-field environment (used for testing in the video above). Note how the use of vertical climbing areas increases the amount of space available for use. Similarly, for some animals, floor space matters little if at all. Perching bird species and arboreal climbers like climbing snakes and monkeys may feel very exposed touching what they perceive as the ground level. So again, that wide-open space you provide them will not work. These animals will need high vertical spaces rather than large floor spaces. With this in mind, I’d go as far as to say that the amount of space you provide an animal matters much less than how you use that space. 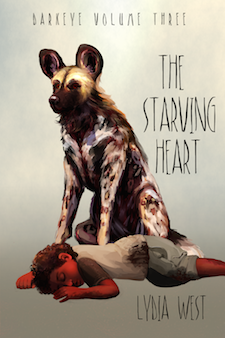 And this, again, is entirely based on what the particular species of animal needs. 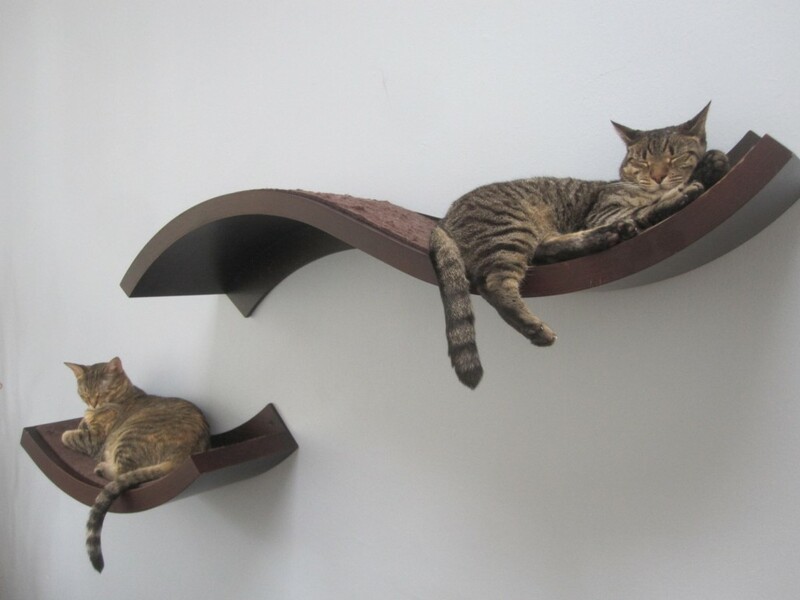 “Cat shelves” are steadily becoming more popular as a way for cat owners to allow their pets to utilize vertical space. Animal species is actually not the only factor you need to take into account when considering how an animal will use a space. Male and female animals may be prone to using space in different ways, especially in regards to social and sexual behaviors. And juvenile animals are almost always more active than adult animals, so even though they’re smaller they may need larger spaces than adults of the same species. When housing more than one animal together, the space needs to increased- but not as much as you might think. Social animals generally don’t spend their time at opposite ends of the enclosure, but rather close together so they can socialize. The caveat, of course, is that socially-housed animals need access to places where they can avoid or hide from their companions in case of fighting or bullying, and that in certain types of social animals, more socially dominant animals may monopolize certain valuable (to them) parts of the enclosure. An example: aquatic turtles require exposed basking spaces. If there is not enough room for all of the turtles to bask at once, there will be competition over this valuable area, leaving some turtles without access to the appropriate amount of light. This is termed “cryptic overcrowding,” because it can occur in a tank which may, to all appearances, have more than adequate swimming space. Cryptic overcrowding can be avoided by spreading out resources and preventing “bottleneck” areas where a single animal can blockade or corner others. 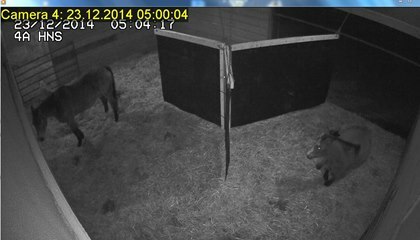 But in general, the increase in space when adding more animals to an enclosure is not a linear equation. It will depend, again, on the behavior of the species. Aquatic or semiaquatic animals pose a unique challenge when it comes to space. Firstly, movement in water takes less energy than movement on land, so swimming animals need somewhat more space to perform activities with than you would expect for land animals. Secondly, a stable water condition is harder to maintain when there is less water in a system. Dissolved chemicals such as ammonia can be toxic to aquatic animals that breathe through gills or damage their skin, and being in containers with less water means that anything that gets into it will become more concentrated. So the smaller the system, the more dangerous any change in water quality will be. 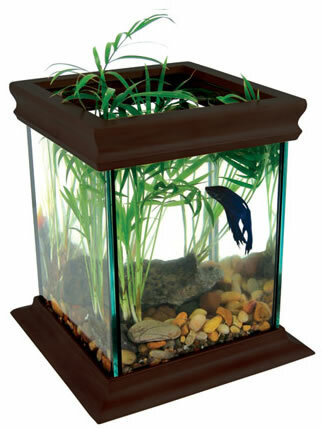 Betta ‘cubes’ and vases have popped up on the market recently as viable ways to keep these solitary fish. While they can theoretically be kept in such a small space with adequate filtration and heating, the reality is that ammonia waste will build up so rapidly in such a small volume of water that the fish will be in constant stress and indeed life-threatening danger. Ironically, small and micro-aquariums are best left only to the most experienced aquarists. Some aquariums and other places with large numbers of captive fish will mitigate this issue by keeping the fish in individual tanks connected to a larger flow-through system. In this case, even though the fish may be contained to one area, the amount of water it is living in is actually as large as the entire complex of tanks. In some cases, actual seawater may be cycled through the system via ocean pipes. 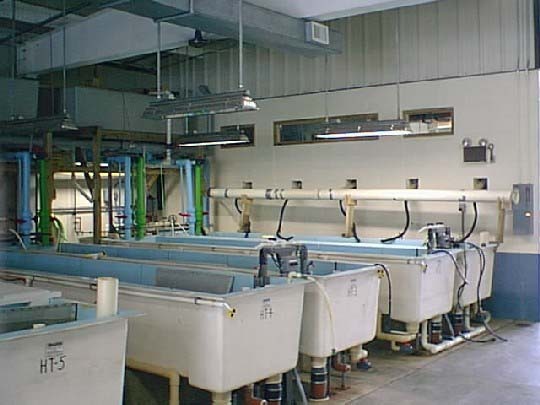 Aquatic research or cultivation facilities generally use flow-through water cycling. Speaking of complexes, there is a way to artificially enlarge an animal’s space: separation and barriers. An open field is not particularly difficult to navigate if one wants to go from one end to the other, but by adding a simple kind of maze, differing topography, or even just visual barriers, the time and energy it takes an animal to traverse the same distance will increase. One excellent example of this is “Paddock Paradise,” a method of altering horse pastures so that the horses will be motivated to move constantly throughout the day. Ironically, it does this by reducing the total pasture space available by fencing off the center of the pasture so that it becomes a looping track. Diagram of how to turn existing pasture into ‘paddock paradise.’ More elaborate designs include areas with wading pools, rocky terrain, etc. This means that the horses will consume the available grass more quickly and be driven to move more often to seek patches to forage in. It also encourages herds to be kept in tighter groups rather than spread out across the pasture, which more closely mimics how they behave in the wild. 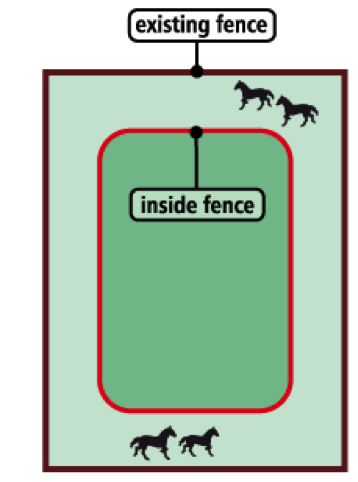 Early studies suggest that horses kept in Paddock-Paradise style enclosures move about twice as much as those kept in traditional pastures- even though they often have far less available space. In general, whether or not an animal has adequate space in its enclosure can be assessed by observing where it spends most of its time. “Overutilized” spots, i.e. places where the animal spends a disproportionate amount of time should be replicated or expanded, while places the animal barely or never uses could be eliminated (with the exception that they may provide space for infrequent but still vital behaviors like elimination). I encourage those of you reading along at home to think about the spaces your pet might over- or underutilize within the enclosure you have given it. So, to sum it all up: while amount of available space is one of the most oft-cited concerns about captive animal welfare, simply adding more space to an enclosure is unlikely to improve an animal’s quality of life unless that space is specifically tailored to the animal’s activities. To this end, there is no hard and fast equation to help one to determine the amount of space an animal will need. Just as a human can be sufficiently entertained in a small apartment with a treadmill and access to the internet, it may be possible to humanely keep an animal in a relatively small space so long as the space is used wisely. That’s it for part two- next, let’s discuss the importance of climate for captive animals. Carlstead, K., & Shepherdson, D. (2000). Alleviating stress in zoo animals with environmental enrichment. The biology of animal stress: Basic principles and implications for animal welfare, 337-354. Clark, J. D., Baldwin, R. L., Bayne, K. A., Brown, M. J., Gebhart, G. F., Gonder, J. C., … & VandeBer, J. L. (1996). Guide for the care and use of laboratory animals. Washington, DC: Institute of Laboratory Animal Resources, National Research Council, 125. Cornetto, T., & Estevez, I. (2001). Influence of vertical panels on use of space by domestic fowl. Applied Animal Behaviour Science, 71(2), 141-153. Hunter, S. C., Gusset, M., Miller, L. J., & Somers, M. J. (2014). Space use as an indicator of enclosure appropriateness in African wild dogs (Lycaon pictus). Journal of applied animal welfare science: JAAWS, 17(2), 98. Imfeld-Mueller, S., & Hillmann, E. (2012). Anticipation of a food ball increases short-term activity levels in growing pigs. Applied Animal Behaviour Science, 137(1), 23-29. Jackson, J. (2006). Paddock Paradise: A Guide to Natural Horse Boarding. Star Ridge Publishing. Leone, E. H., & Estevez, I. (2008). Use of space in the domestic fowl: separating the effects of enclosure size, group size and density. Animal Behaviour, 76(5), 1673-1682. Mason, G. J. (2010). Species differences in responses to captivity: stress, welfare and the comparative method. Trends in Ecology & Evolution, 25(12), 713-721. Morgan, K. N., & Tromborg, C. T. (2007). Sources of stress in captivity. Applied Animal Behaviour Science, 102(3), 262-302. Reinhardt, V. I. K. T. O. R. (1992). Space utilization by captive rhesus macaques. Animal Technology, 43(1), 11-17. Roberts, M., & Cunningham, B. (1986). Space and substrate use in captive western tarsiers, Tarsius bancanus. International journal of primatology, 7(2), 113-130. Ross, S. R., Schapiro, S. J., Hau, J., & Lukas, K. E. (2009). Space use as an indicator of enclosure appropriateness: A novel measure of captive animal welfare. Applied Animal Behaviour Science, 121(1), 42-50. Ross, S. R., & Lukas, K. E. (2006). Use of space in a non-naturalistic environment by chimpanzees (Pan troglodytes) and lowland gorillas (Gorilla gorilla gorilla). Applied Animal Behaviour Science, 96(1), 143-152. Warwick, C., Arena, P., Lindley, S., Jessop, M., & Steedman, C. (2013). 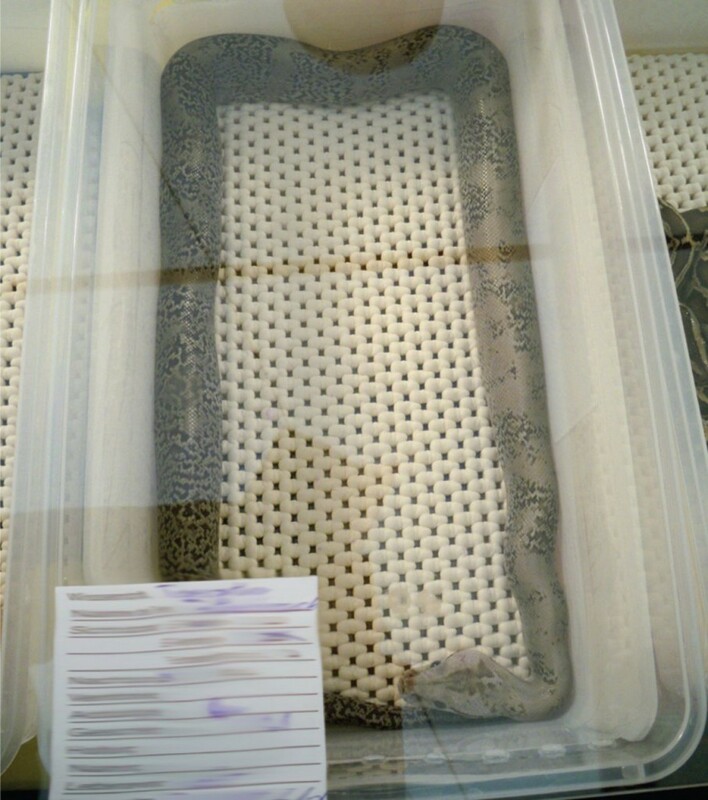 Assessing reptile welfare using behavioural criteria. In Practice, 35(3), 123-131. Watters, J. V. (2014). Searching for behavioral indicators of welfare in zoos: Uncovering anticipatory behavior. Zoo biology, 33(4), 251-256. Young, R. J. (2013). Environmental enrichment for captive animals. John Wiley & Sons.